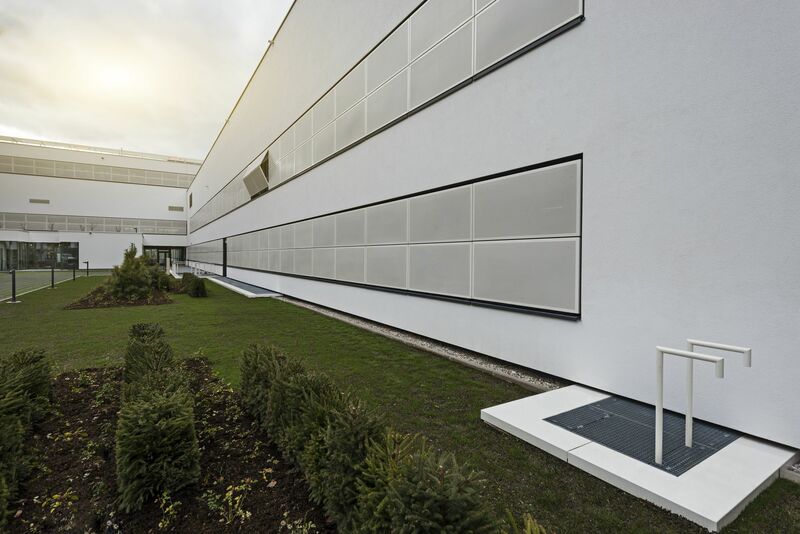 Leoben Regional Hospital - an exemplary task for architecture Leoben Regional Hospital is a fine example of how modern architectural interventions can bring a 50-year old hospital to a state-of-the-art standard, both in terms of function and architecture. 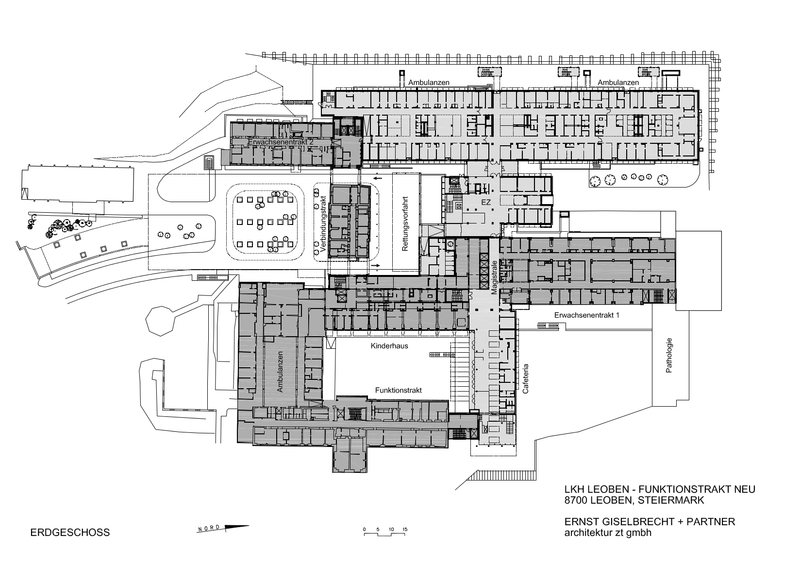 It had already become evident during the competition that updating Leoben Hospital to today’s standards would be a unique challenge - after all, most hospitals built in the 1960s no longer meet modern requirements. 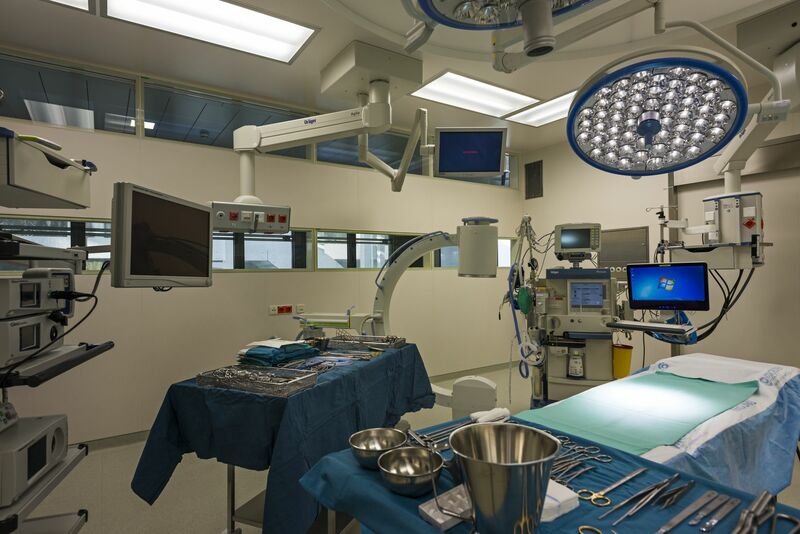 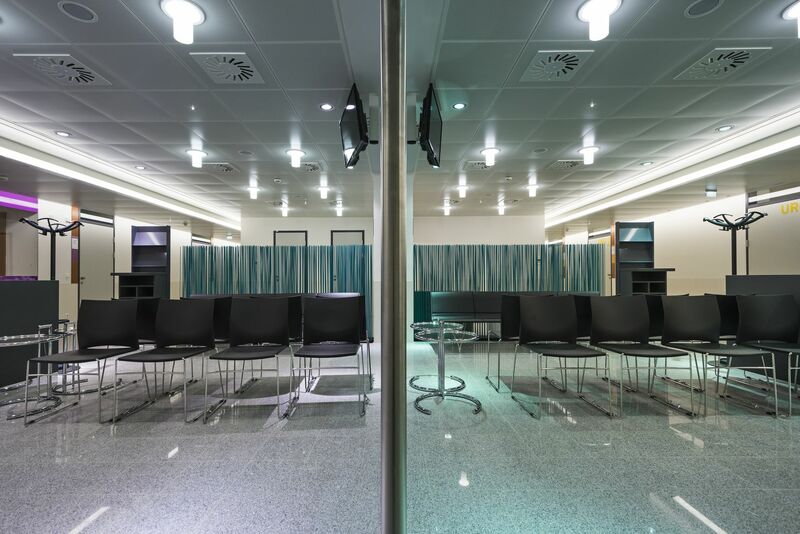 The core of this task was to integrate the new service wing, existing operating theatres and outpatient department into the overall complex. 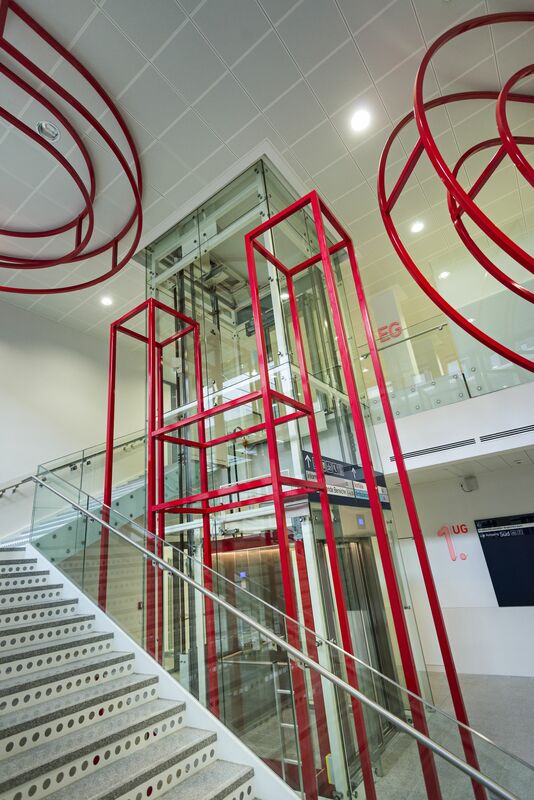 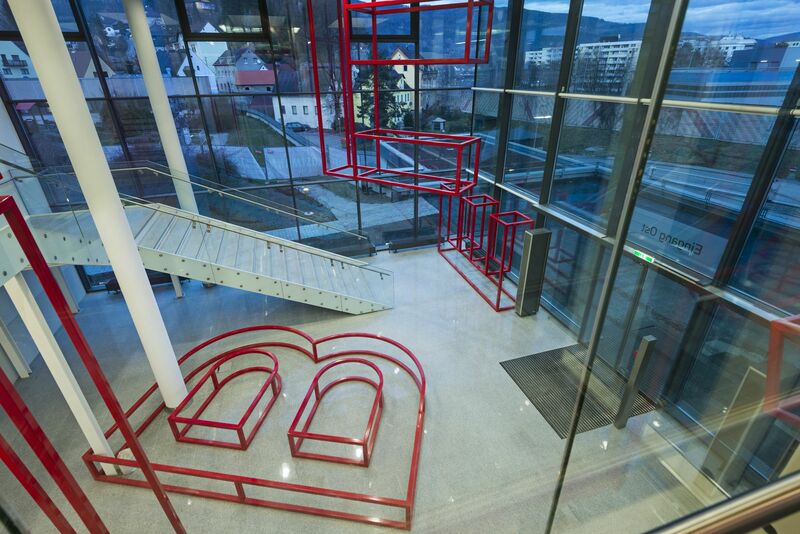 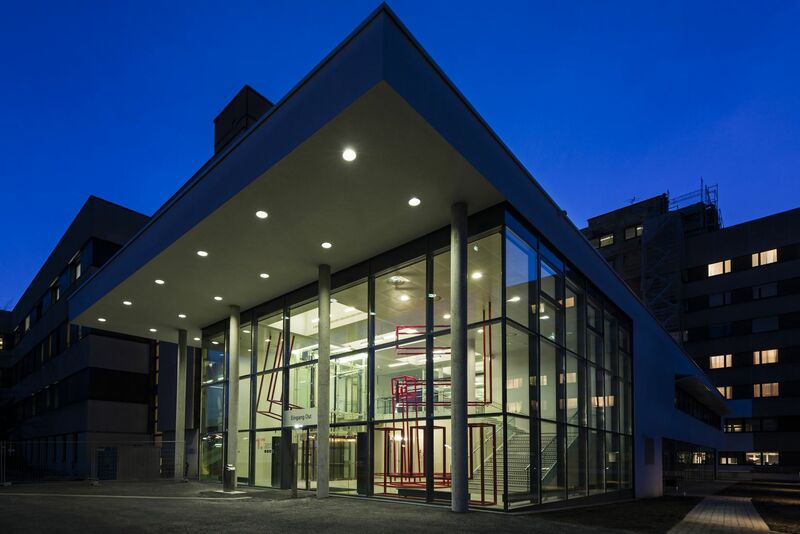 Besides focusing on all functional requirements, the architects also sought to create innovative architecture that would draw attention to the competence and quality of medical care at Leoben Hospital. 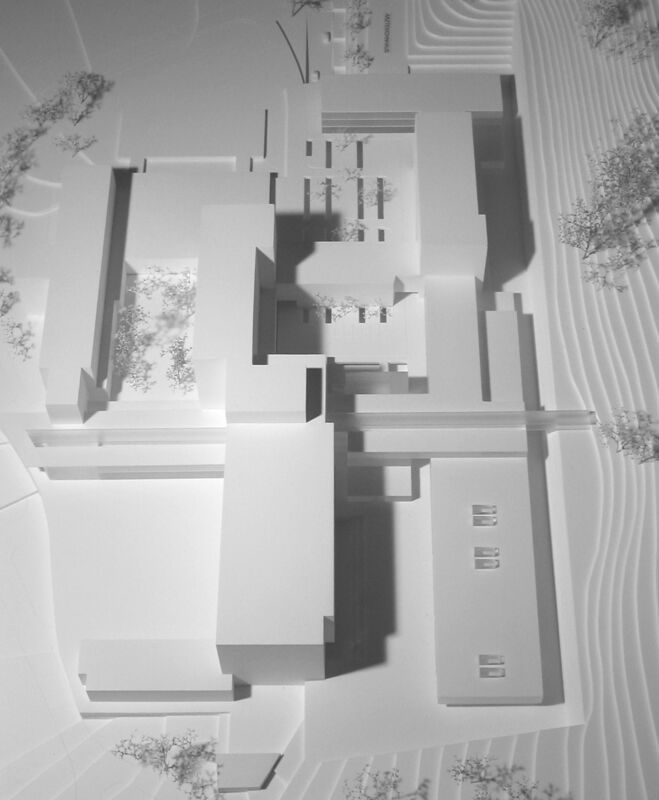 The issue of old and new architecture needed to be reformulated. 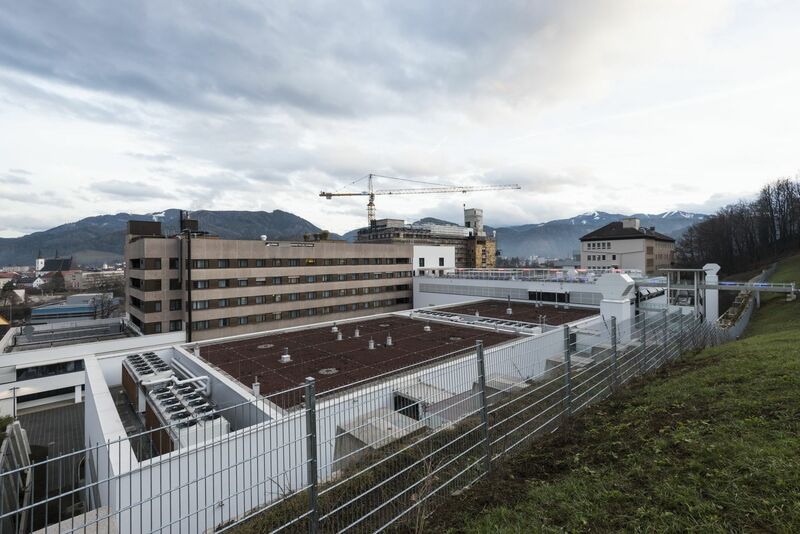 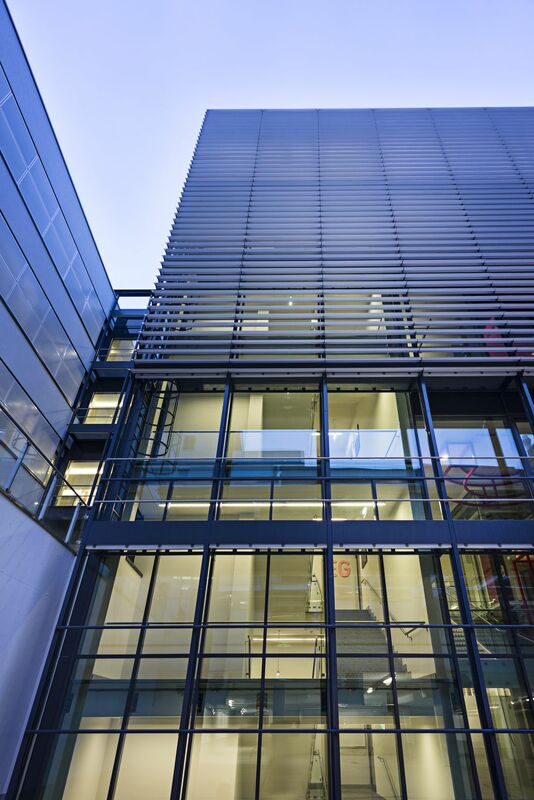 Apart from refurbishing the façades, the aim was to integrate the hospital into a holistic architectural concept that takes both functional and structural-cultural requirements seriously. 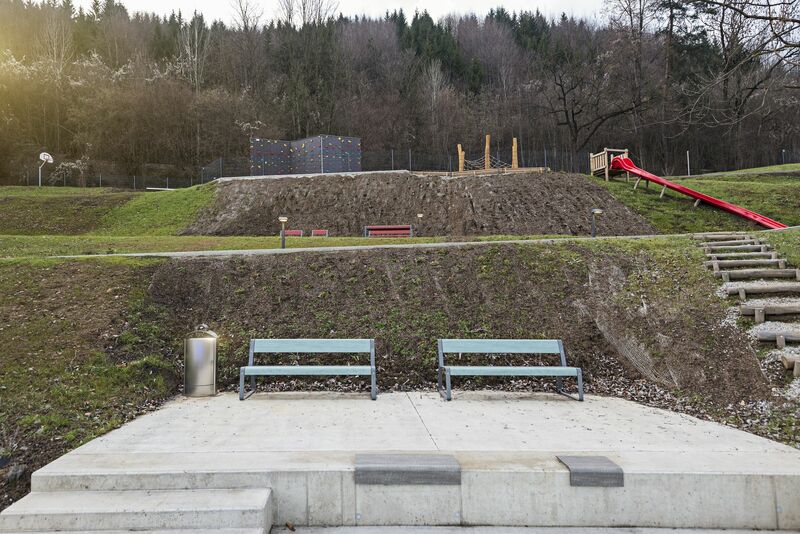 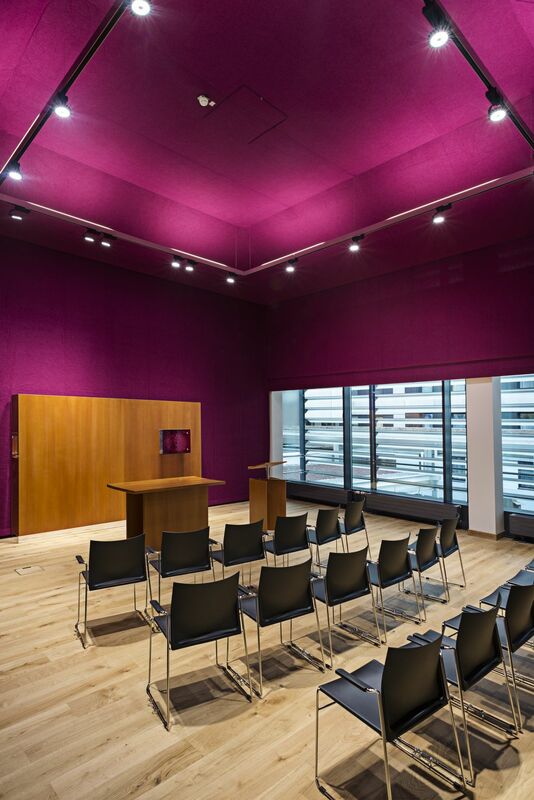 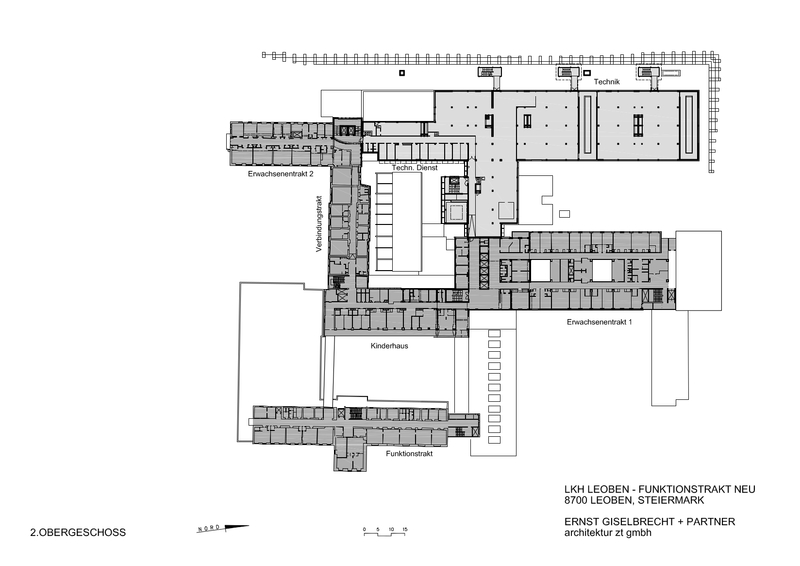 The particular quality of this building was achieved by providing access to the local Annaberg recreation area via the fourth floor, thus enhancing the narrowness of the site. 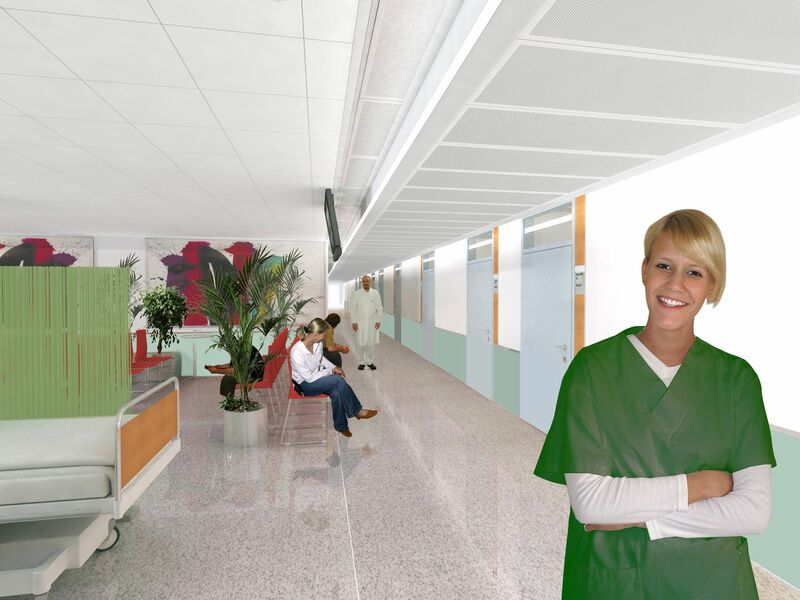 Today’s park, a rest zone with green space, is not only an asset for patients and visitors, but also for hospital staff. 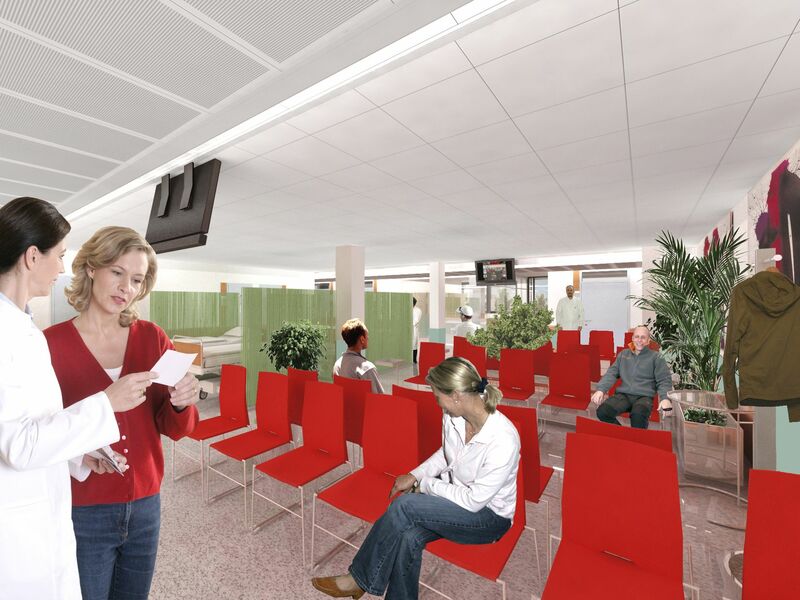 A visiting card for visitors and patients alike is the main thoroughfare in which the control centre and all other essential facilities including service units such as a cafeteria, kiosk, etc., are integrated. 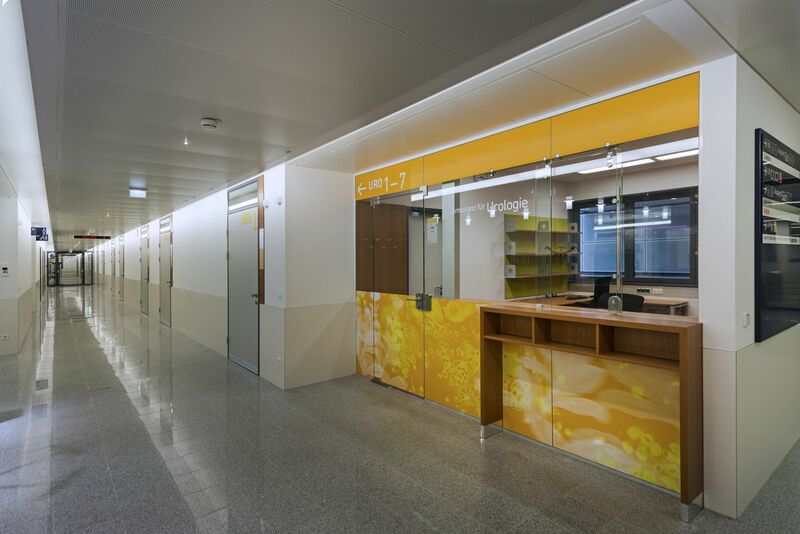 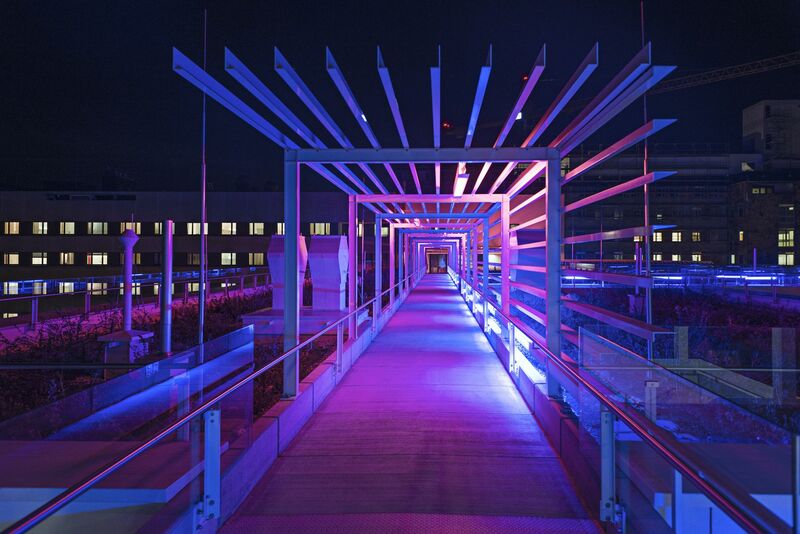 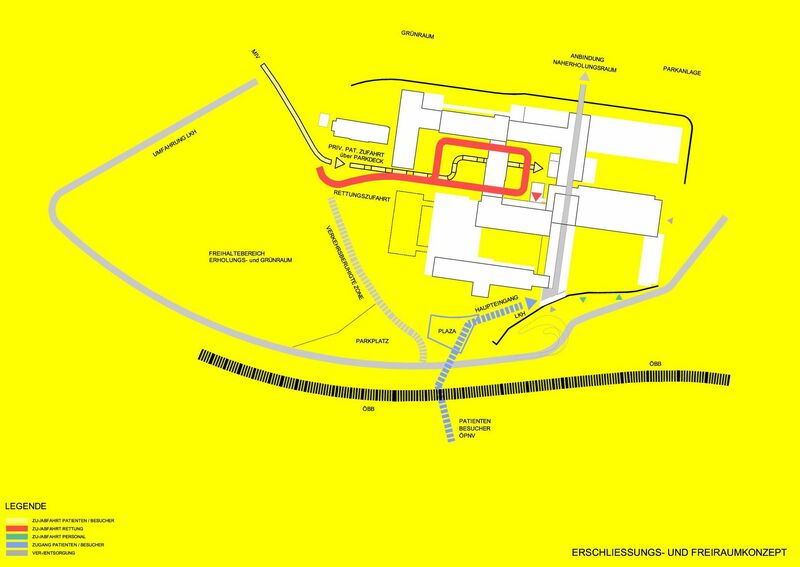 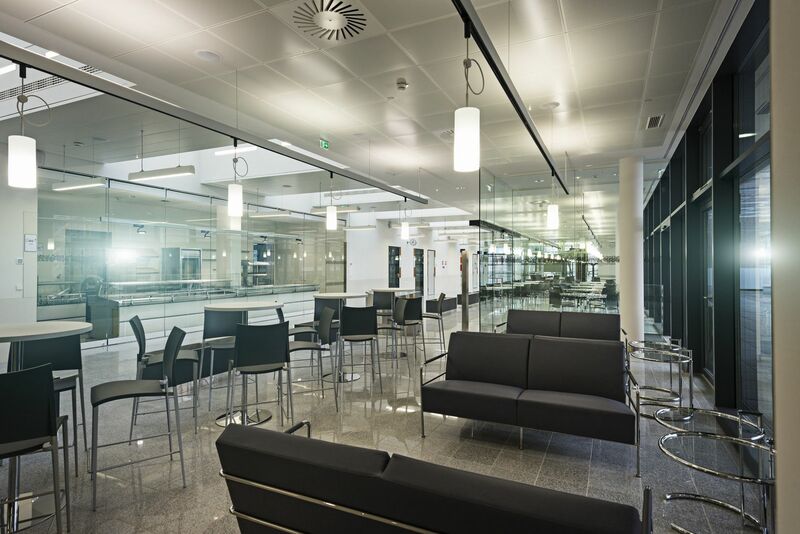 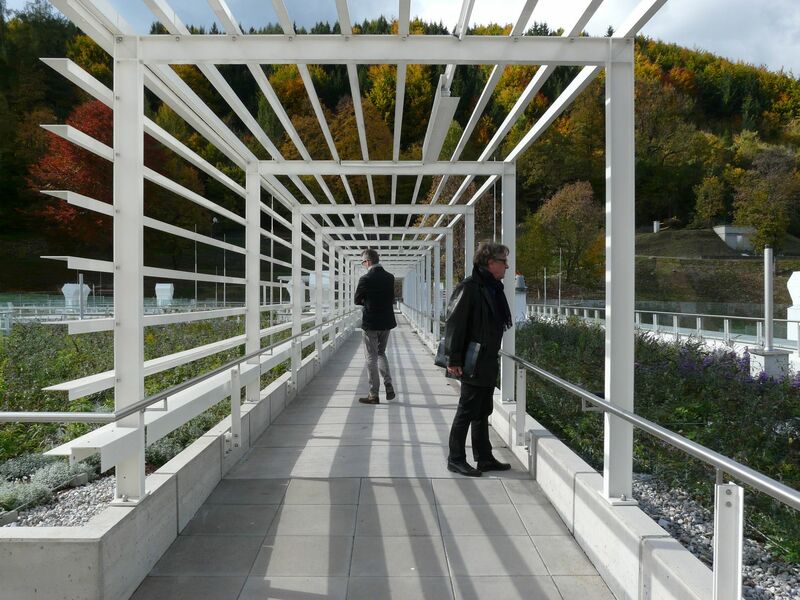 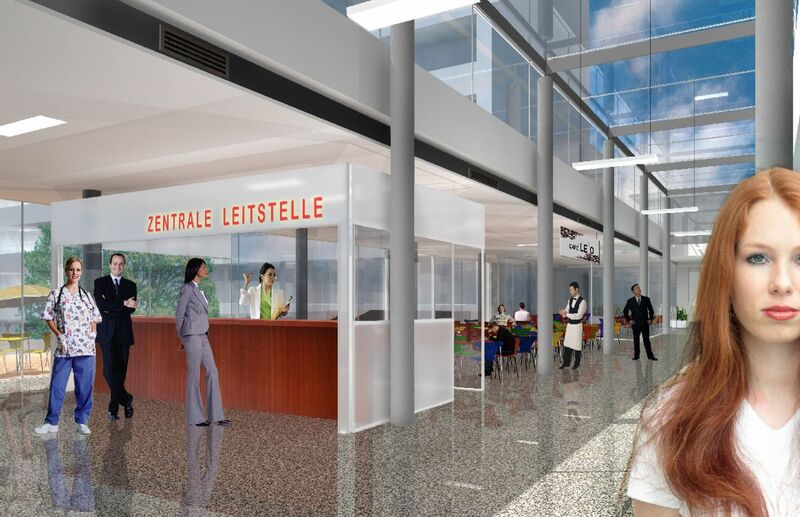 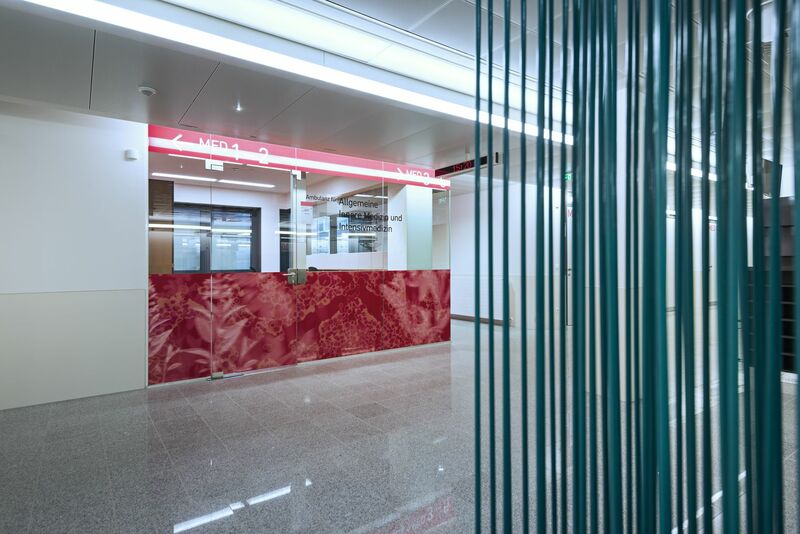 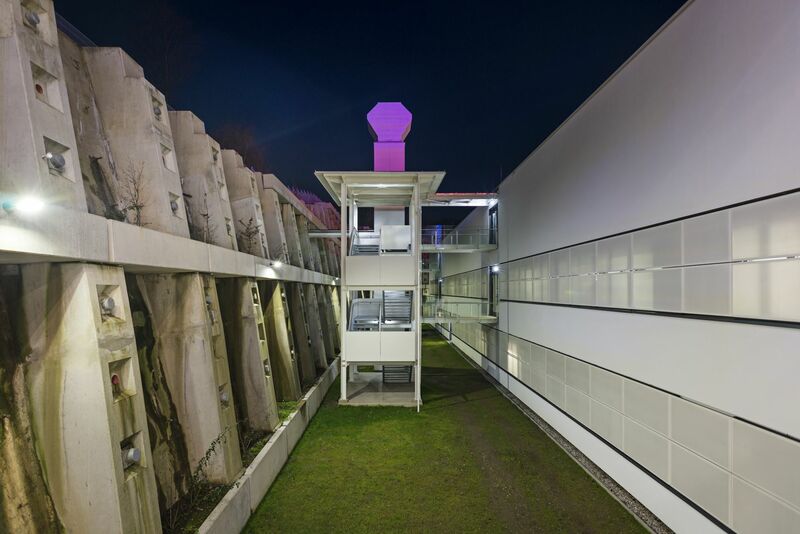 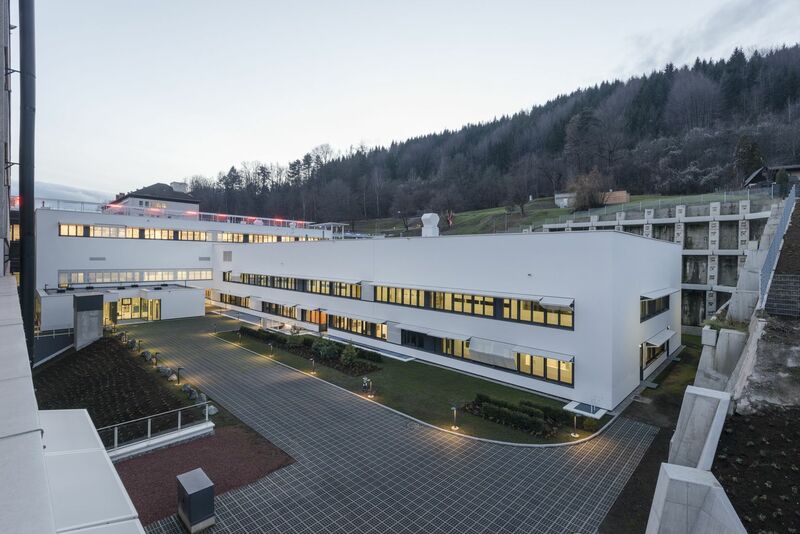 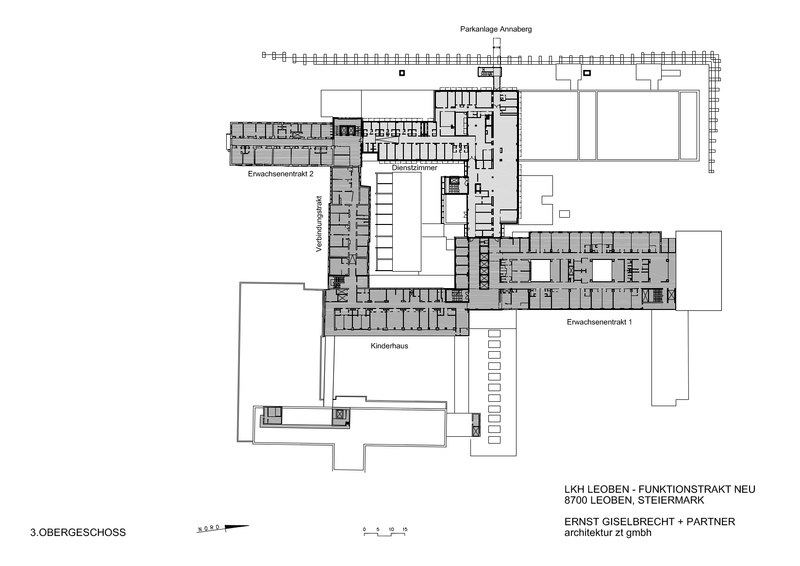 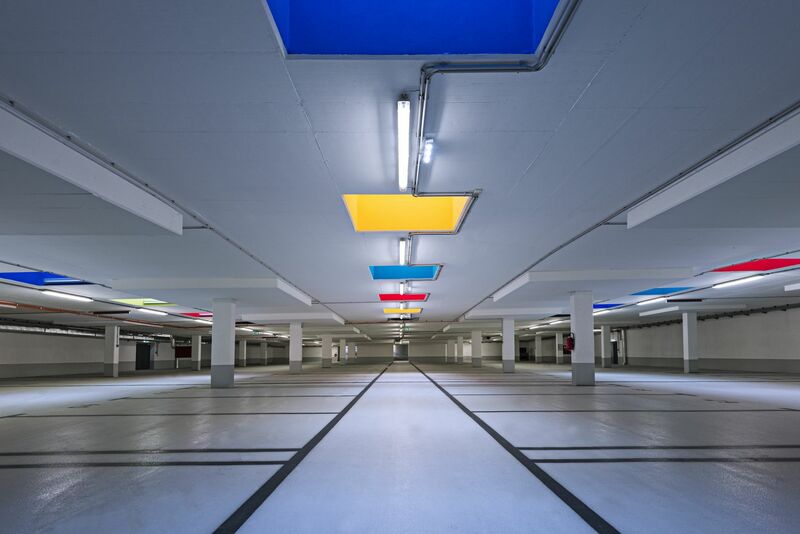 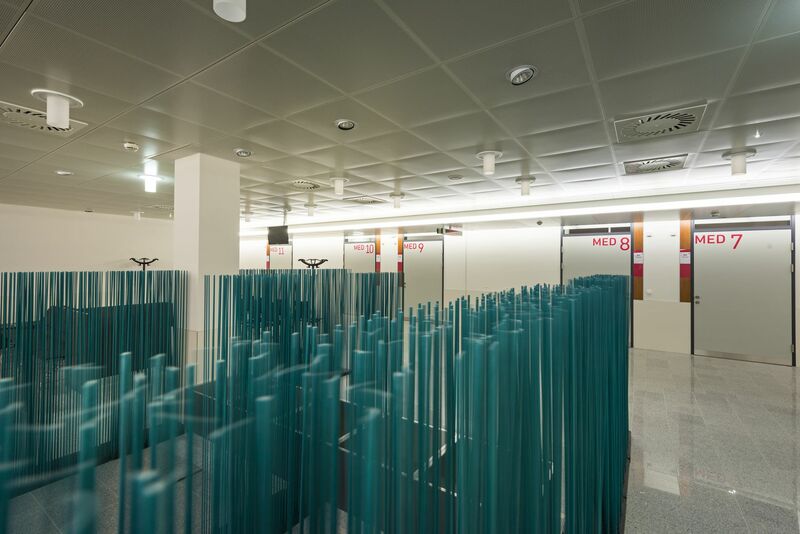 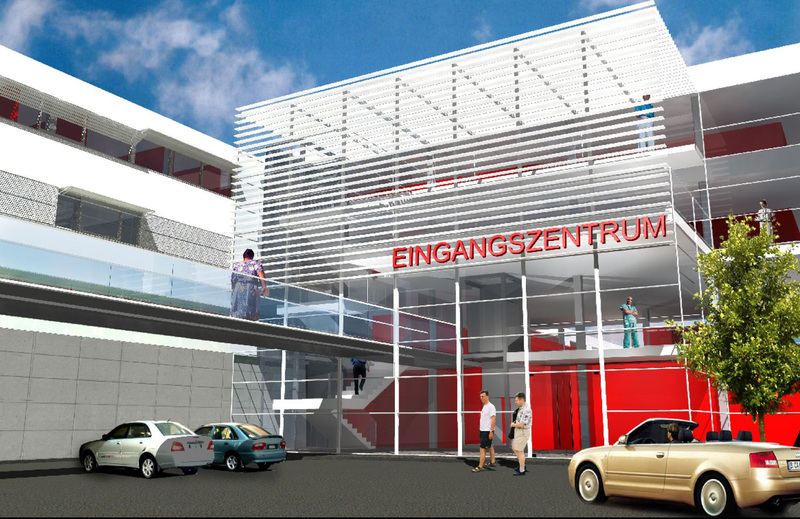 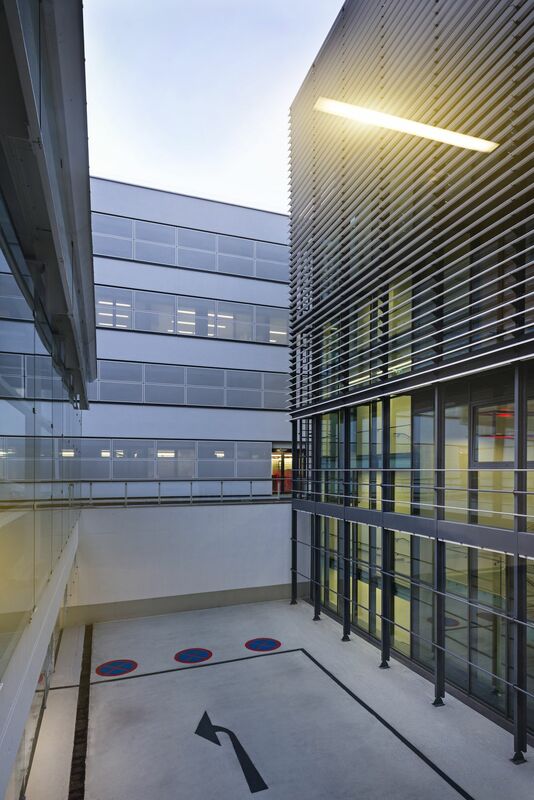 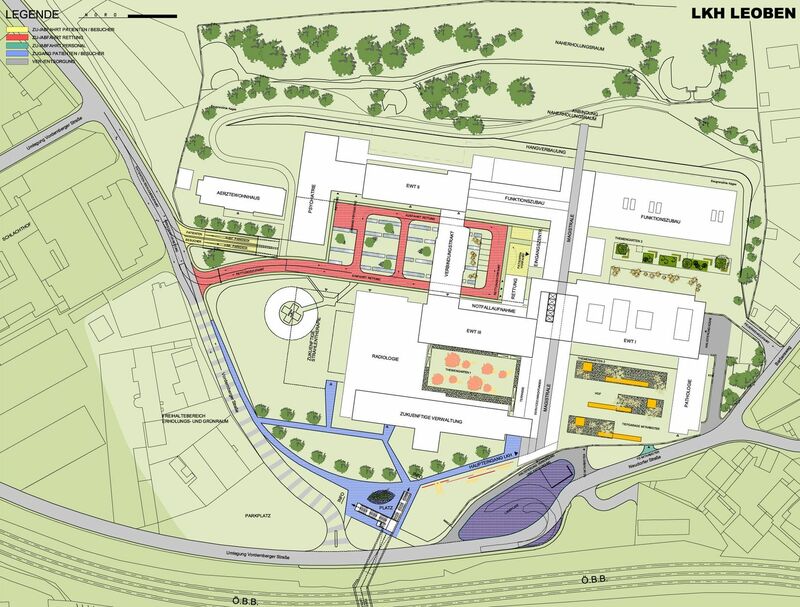 Generously lit and designed, the main thoroughfare provides clear access to all functional units at Leoben Hospital. 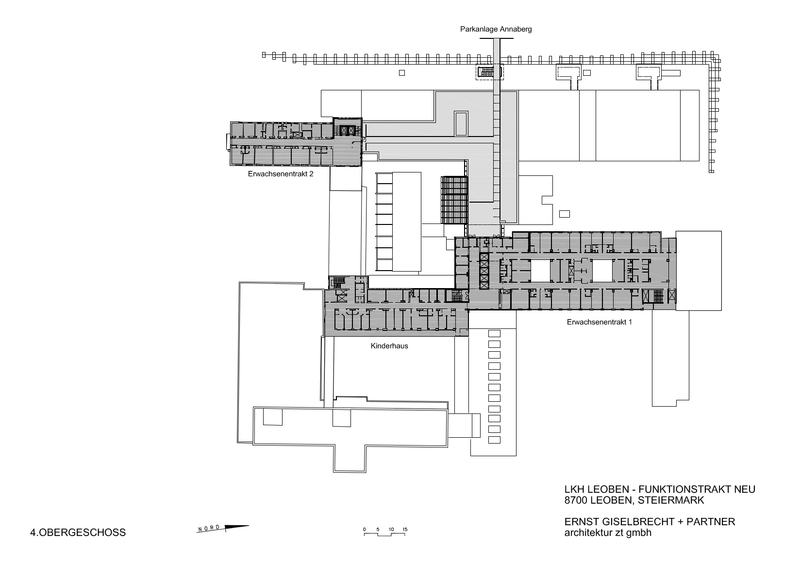 1982 Invitation to Paris Biennale: "La Modernité ou l'Esprit du Temps"
1984 Manager of the exhibition "13 Standpunkte Grazer Schule"